I began preparing fine Chinese food 29 years ago, starting in New York City. I moved to Rapid City 1987. 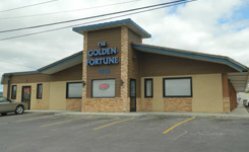 In 2000 Golden Fortune opened and has been serving Rapid City the best Chinese food for dine in Chinese buffet, by menu, or for Chinese take out! We started business next door and moved over in 2010 to our current location with more than twice the space to serve our loyal customers. We have customer seating and food for up to 200 people. Our family recipe dishes are prepared continuously in small batches throughout the day so whenever you are here during the day your food is always freshly prepared and delicious. NO MSG is used in any of our dishes. 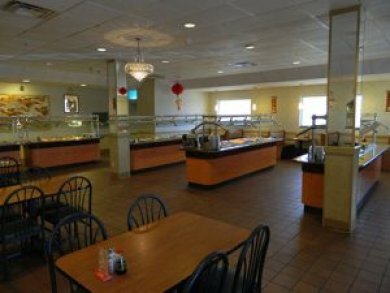 Enjoy over 60 different selections of fresh prepared food including Chinese dishes, sushi, salad bar, dessert, and ice cream! We serve beer, wine, and offer Coke brand soft drinks for your dining pleasure. Private room seating is available for banquets, parties, weddings, meetings, and any other special events where delicious Chinese food may be appreciated. The reserved party/meeting room seats up to 60 people comfortably. At Golden Fortune Restaurant, we serve many delicious chinese food dishes from Broccoli Beef to Sushi. Our restaurant is available for small group lunch, dinner or large group meals and parties. If you are just looking for a favorite to take home, we have some delicious chinese food take-out options. Call Golden Fortune at 343-3496 to place your carry-out order.